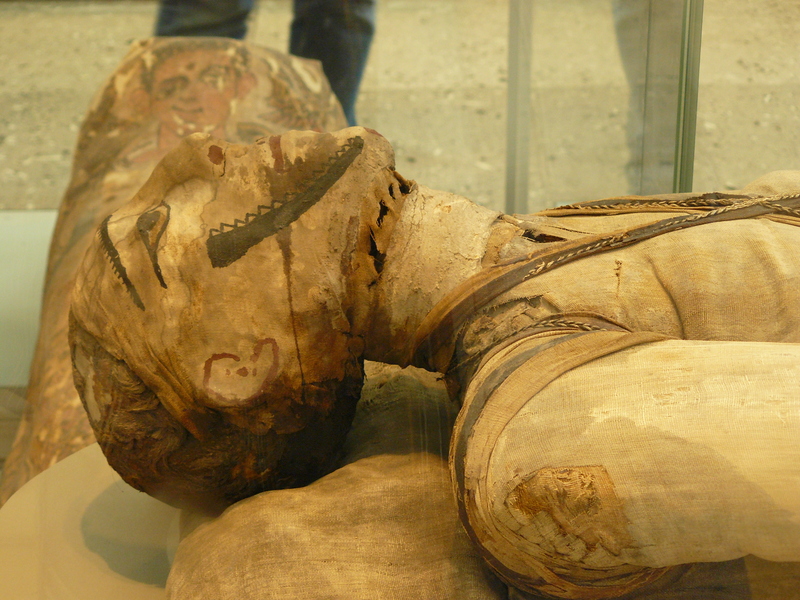 →Finally I get to see a mummy! Finally I get to see a mummy! I just had a few hours to spare on an otherwise busy trip to London and had to pick on one thing to see. It was not at all difficult. I had read that the British Museum has a rich section dedicated to Egypt and that made it easy! I rushed to the museum and straightway headed for the Egyptian section. And I was not disappointed at all! Just at the entrance of the section, I witnessed a mummy (the one in the photograph above)! It was really a great feeling, I must say. I always though about a planned trip to Egypt to witness the Pyramids as well as the Mummies. I never knew that I wound witness a mummy here, in London (well the English couldn’t get the Pyramids here 🙂 ) . But then, life does throw surprises. I also attended a 30 minute guided tour on Egyptian history by one of the curators (and bugged him with a few questions towards the end!). I saw a lot of other things as well, but I don’t really remember what else I saw. Such was the thrill!